Turkey’s main opposition CHP has vowed to lift the state of emergency 48 hours after its presidential candidate Muharrem İnce takes the office as the president in a clear message to the world that the new government prioritizes democracy. “We will convey to the world that ‘Our direction is towards democracy. We will lift the state of emergency and we will strengthen our democracy’,” CHP leader Kemal Kılıçdaroğlu said in a televised interview early June 13. 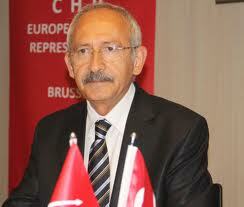 Kılıçdaroğlu vowed that İnce, if elected as president in the June 24 elections, will lift the state of emergency two days into being the head of the nation.